What Does Gluten-Free Mean and Is it OK to be Gluten Free-ish? Lately, gluten-free seems to be the way to be. More and more Americans are finding ways to keep wheat proteins from their diets. In fact, one in six people, or 17 percent of Americans, avoid gluten-free foods. Meanwhile, one in five is actively working to make gluten-free foods a part of their diet. But what did gluten really do? If you’re going to keep it out of your diet, do you have to remove all of the protein? 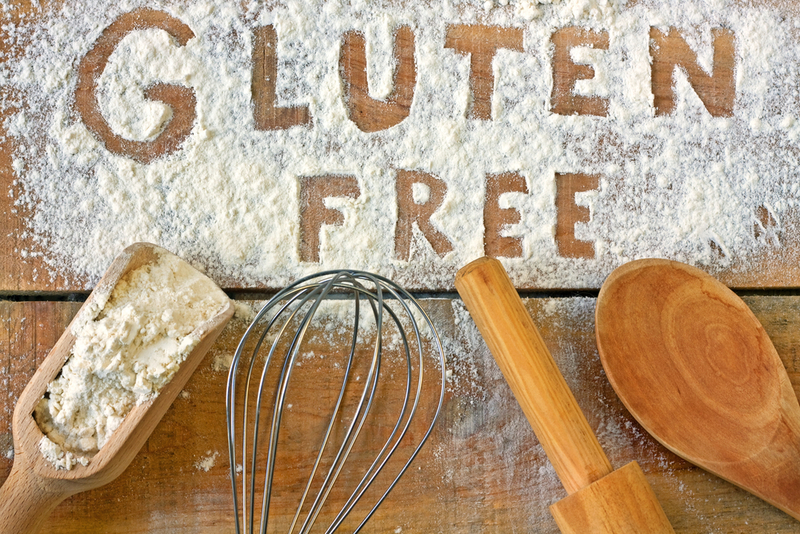 Find out what does gluten-free mean and is it OK to be gluten-free-ish? Gluten is the general name for any of the proteins found in the different types of wheat. While some people believe that it’s really only gluten when it is in wheat, the substance is present in many grains, including other wheat variations, rye, barley, and triticale, according to the Celiac Disease Foundation. Gluten is similar to a glue as it helps hold food together and keep its shape. It’s a popular ingredient in seitan, which is used to make meat replacements and vegetarian foods. That is because seitan, in a four-ounce serving size, provides 26 grams of protein. This amount is half of your recommended daily intake of protein. Most of the daily protein comes from gluten’s extremely high protein content. One-quarter of a cup of wheat gluten flour has 23 grams of protein and only about half-a-gram of fat. One serving has only two grams of fat. By itself, gluten is high in iron, has very little sodium, a small amount of calcium and adds no extra cholesterol. The level of carbohydrates is enough for a slight energy boost but is still low enough that many individuals on a low-carb diet can still consume gluten.The protein source becomes a problem when it causes health issues like an upset stomach, headaches, dizziness and inflammation in your body or brain. Gluten sensitivity, wheat allergies, and celiac disease can all be painful bodily reactions to gluten. Celiac disease is an autoimmune disorder that the Celiac Disease Foundation says affects about 10 percent of people in the world. The genetic disorder can often be misdiagnosed or overlooked, which is why the foundation thinks that, in reality, about 2.5 million Americans are undiagnosed. It’s more likely to develop in individuals whose first-degree relative has already been diagnosed with the disease, like children, parents, or siblings of people with celiac disease. The only treatment for celiac disease is the elimination of gluten from the diet, and the good news for someone who has been diagnosed with celiac disease is that within a few weeks of the dietary changes, the pain, discomfort and other symptoms improve. Most have found that within several years, the intestine was able to heal. Newer research has shown that non-gluten celiac sensitivity, also called gluten intolerance or non-celiac wheat sensitivity, may affect as many as 18 million Americans. This is three times the amount of individuals with celiac disease. The condition brings on many of the same feelings and symptoms of celiac disease with the long-term intestinal damage of the disease. In non-celiac gluten sensitivity, which mostly affects adults, individuals report intestinal symptoms as the most prevalent symptom even though they may experience abdominal pain, fatigue, tingling or numbness. Patients may also report foggy brain to a lesser extent. Some individuals have discovered that a gluten sensitivity may also spark the same reaction as seasonal allergies or hay fever. While the primary difference between non-celiac gluten or wheat sensitivity is that gluten isn’t the culprit of the symptoms, even though wheat exposure is causing the damage, the treatment is still the same. Individuals have found that removing gluten from their diets has reduced the presence and strength of the symptoms while helping to lessen the immune reaction and repair the cell damage. One study found that after six months, individuals who removed wheat and wheat products from their diets saw an improvement. But a Little Won’t Hurt…Right? According to Dr. Peter H.R. Green, director of the Celiac Disease Center at Columbia University and co-author of the 2016 study on non-celiac gluten sensitivity, if you’ve been diagnosed with one of these conditions, the answer is no. He has noted that a study in Finland has shown that the threshold of when gluten causes intestinal damage is about 30 milligrams — or less than a teaspoon of cake. If you’ve been diagnosed with one of these conditions, it’s extremely important to live a gluten-free lifestyle — and that goes beyond your diet. Wheat germ oil can be a big producer of vitamin E, which is found in sunscreen. Some brands of shampoo or conditioner use compounds from wheat or oats. Barley and wheat have been found in makeup and lotion. Even more troublesome is that many different vitamins, medications, and supplements — even some that claim to be gluten-free — may still contain wheat and cause health concerns and symptoms in individuals with a gluten sensitivity or celiac disease. Learn to read labels, look for restaurants and food products that have been labeled gluten-free, and avoid in-home cross-contamination. If you haven’t been diagnosed, but suspect that gluten may be causing you regular and persistent health concerns, it’s important to see a medical professional. Doctors can perform medical tests that will either confirm or rule out celiac disease. However, if you’ve not been diagnosed and aren’t experiencing any health concerns with symptoms similar to those of gluten sensitivity or celiac disease, avoiding gluten can not only be inconvenient but, according to Dr. Green, may be putting your health at risk. The gluten-free diet, in and of itself, isn’t typically the healthiest, Dr. Green explains. In addition to removing the fiber, iron, and B vitamins found in foods with gluten, the gluten-free diet is high in sugar, fat, and salt, which often accompany many different processed foods. Replacing these with supplements may cause problems when the supplements cause interference issues with your prescription medications. Green notes that gas and bloating can also be caused by other food intolerances, with lactose and fructose being the two most common. Removing gluten from your diet won’t treat those intolerances. For individuals looking to lose weight, the best way to consider gluten is to follow the old adage and advice of “everything in moderation.” Removing gluten requires greater diligence in maintaining a nutritionally balanced diet. If you find that losing weight and eating foods with more nutritional value doesn’t improve your symptoms, it may be helpful to visit a doctor for a more concrete diagnosis.